Danny Nicholson has recently published a new blog post on his Whiteboard Blog, called “Ten Twitter Tips for Teachers“. Danny has written a short guide to Twitter for Teachers before, but as the name of his recent post suggests, here he provides 10 quick tips for people interested in getting started with twitter. 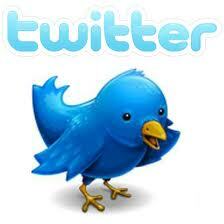 I often hear people being quite sceptical of twitter, but this is usually before they have actually tried it! I have been using twitter for about 3 years now and have found it invaluable for professional development and the reciprocal sharing of ideas and links with fellow educationalists not just from the UK but around the world. Give it a go and be amazed by the links and professional development opportunities it opens up. You can soon find people with simillar subject specific / pedagogical interests who you can follow! This blog post by Steve Wheeler of Plymouth University considers the use of Twitter a as a teaching tool – it includes an interesting “top 10 uses of twitter for education”. There are many other ideas and links to suggested ways of using Twitter in education on the EmergingEdTech website here. A collaborative online book on Twitter for Teachers is also a growing resource for teachers keen to look at the potential of twitter.